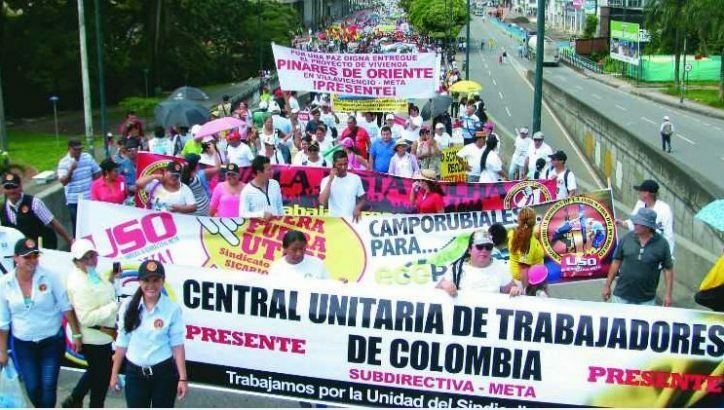 Trade unions, human rights groups and the political opposition in Colombia have campaigned for many years for a negotiated solution to the armed conflict. The Peace Campaign was initiated to develop practical actions to provide international support for the Havana Peace Talks and to continue support to ensure the full implementation of the peace deal. Over the course of the peace process, JFC took a number of international delegations of politicians, trade unionists and civil society activists involved in peace talks in both Ireland and South Africa to share experiences with both the government and guerrilla negotiators. As a result of JFC’s work, in 2016 the JFC Director was accredited with official advisory status to the talks and has been responsible for building pressure to ensure maximum UN involvement in the international oversight of the peace deal. Build international support for the peace process through high profile visits and public statements. Campaign to protect activists to ensure that the conditions are in place for a sustainable and inclusive peace. Provide permanent accompaniment and observation to ensure full implementation of the Final Peace Agreement.